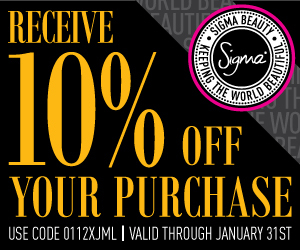 Now through January 31st, Receive 10% off any Entire Purchase at Sigma Beauty. Since January is almost over, there's only a short amount of time left to use the discount. 10% may not sound like alot, but a little helps all the time. Now this just came out this Holiday season. I soo want this set! This Looks Awesome! Maybe a Clairsonic Dupe?? Get all your Beauty Needs online at Sigma Beauty! @ shopNChomp, 10% is good, but I've got to be a good girl! !